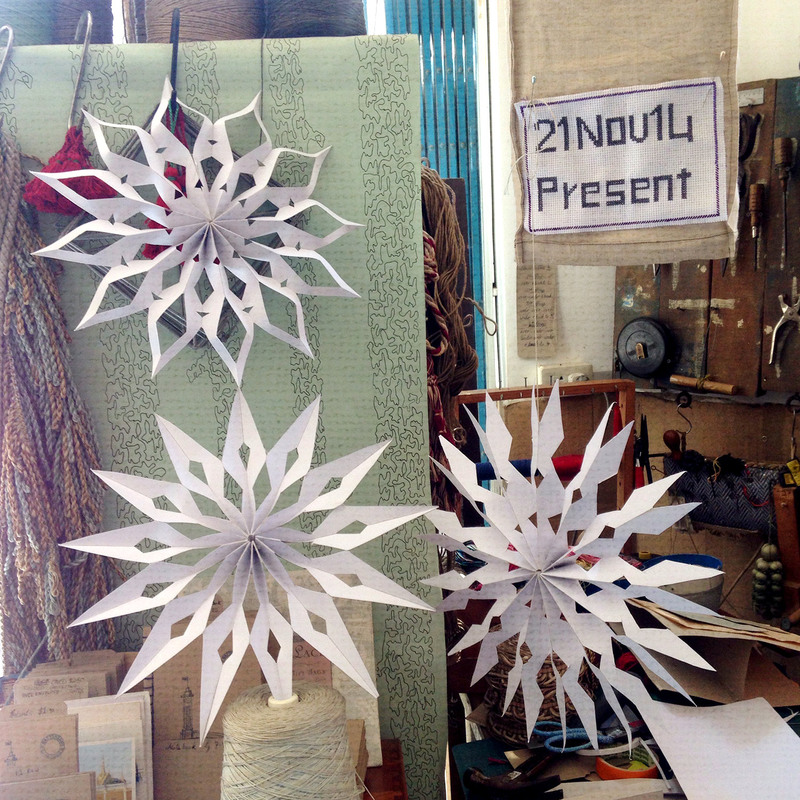 I decided this year to make Paper Snowflakes for our Christmas decorations. Simple and fun, but watch out for that dangerous blade. Cut a rectangle piece of card, two thirds longer than the width. The width should be half the total finished snowflake diameter. Score the card along the width with equally spaced score lines. Here, we make the score lines 4-5cm apart. DO NOT cut through the paper. These are only minimal score lines that only cut slightly into the card. Using the score lines, fold the card into a concertina. 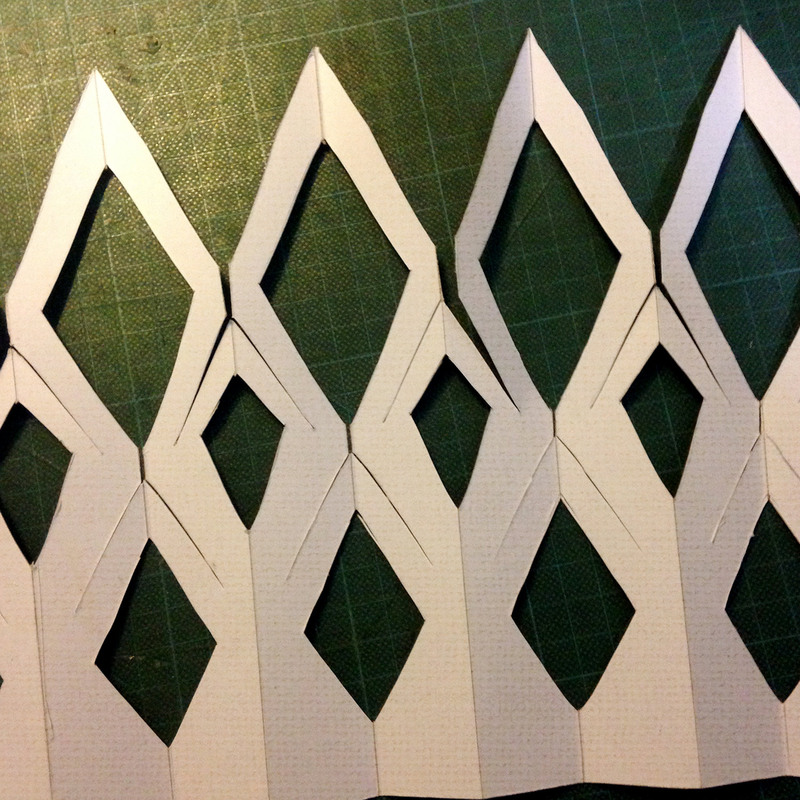 Cut the tip off the end of the fold, cutting all the layers of the concertina folded card. 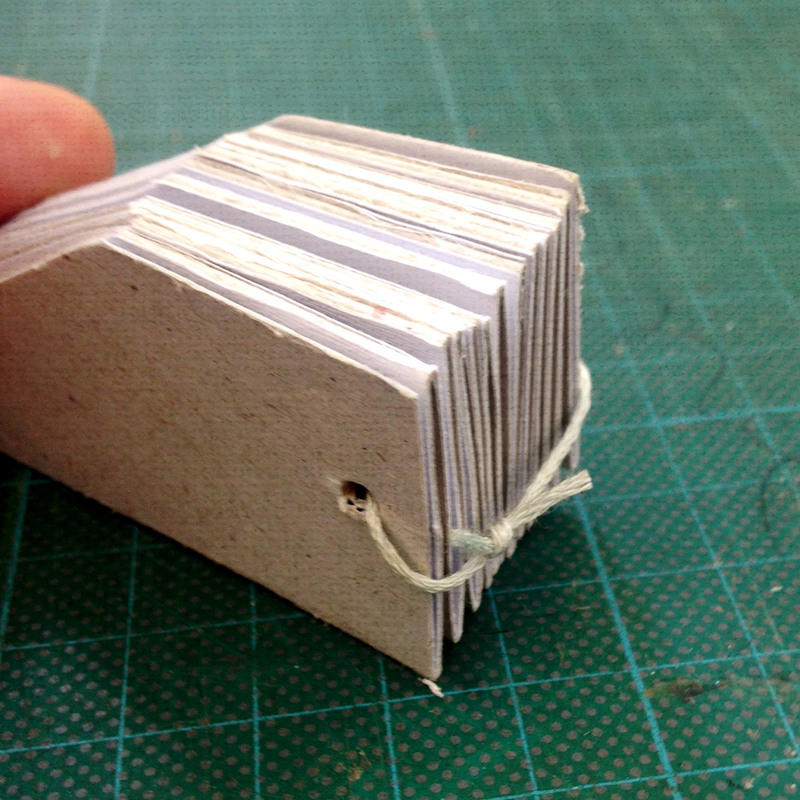 Down the length of the folded card, cut into the layers to make more groves. On the opposite end to your original cut tip, tie the layers together. You do not want this to be a tight tie, but you do not want it too loose. Upon completion of your paper snowflake, if it is not flat, and it buckles, come back to this step and make this tie tighter. 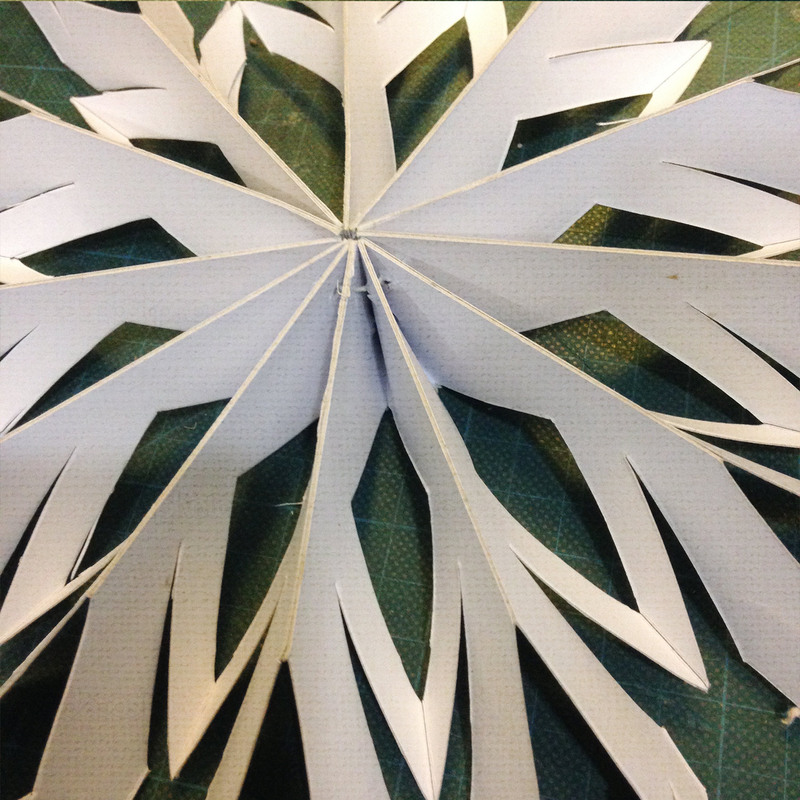 Likewise, if it is too tight, you will not be able to open the concertina folds to form a fully opened round paper snowflake. Unfold the paper snowflake and attach the two ends of the card by using the double sided tape. This image shows the unfolded concertina, prior to the stitching in the pervious step. ← Wrap a present and finish it with a decorative knot.